Exodus: Gods and Kings (2014): Or, "Moses and Errin'"
My name is Aaron. I’m the brother of Moses. In the Holy Scriptures, when Moses balks at God’s call for him to go and free the Israelites from Egyptian slavery, claiming a lack of eloquence, God gets aggravated and assigns me to travel with him, to face Pharaoh, and to act as Moses’ translator. It wasn’t a fun mission — delivering God’s message to that tyrant. It was brutal. I, like my brother, risked my life. I, like my brother, left my family and responsibilities behind in order to provoke the most powerful in our world, trusting that God would come through on the threats we were delivering. No, I’l let I AM THAT I AM be the judge of your decisions. And that’s good news for you, by the way. Because A) I think the Almighty’s a big fan of Alien and Blade Runner, so he’ll probably go easy on you. And B) while we believed our God to be a harsh legalist back then; we hadn’t yet seen the fulness of his glory. We hadn’t yet learned just how much he enjoys showing mercy and love. I’ll say more about that later. For now, I’ll try to be merciful. Ramses realizes that dust sticks to eyeliner — a real problem during a battle. Believe it or not, I respect the fact that filmmakers who adapt stories from literary sources must often make major alterations. What works in literature is different than what works on the screen, and movies that stick too closely to the source material are often terrible. Revisions that honor the spirit of the source material are to be praised: Tolstoy’s Anna Karenina — a book as grand as a mountain range, and considered by many to be “un-film-able” — was paraphrased with near-miraculous imagination and majesty by Joe Wright. Revisions that dishonor the source often fall far short of their source material: Consider those increasingly lamentable Middle-Earth films by Peter Jackson, which have dismantled the heart of Tolkien’s storytelling by an increasingly brazen and sophomoric preoccupation with violence and mayhem. There are exceptions of course: The movie Children of Men, by Alfonso Cuaron, and the book Children of Men, by P.D. James, barely have anything in common, but they’re both spectacular works of art. 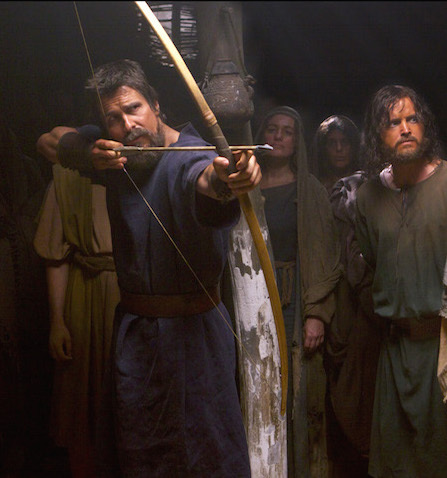 While your movie may not be a great work of art — it’s more a work of decent entertainment — it does honor the heart of the Old Testament story, and it gives God the last word, as any respectable version of this story should. 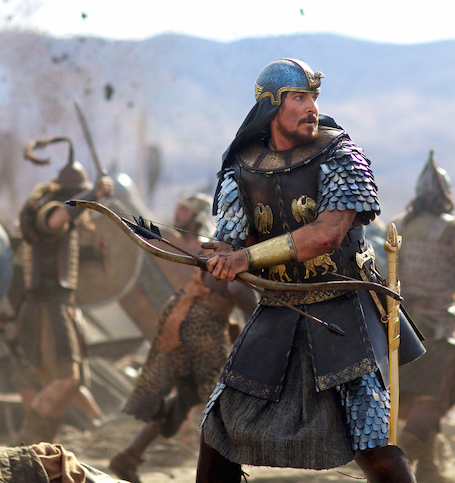 Exodus: Gods and Kings bears little resemblance to the story that my brother and I lived. But in its fictions, in its technical execution, and in its visual artistry, it has some admirable qualities. I’m particularly fond of how you’ve brought our “Old Testament” world to life. (I hate that term: Old Testament. Everybody assumes I deserve a senior discount because I’m from the Old Testament.) Anyway, you honored us — the Israelites — by depicting the way we suffered in slavery at the hands of the Egyptians — the endless, heavy labor; the hiding; the intimidation; the public executions. We spent hundreds of years staring at the sky above the Pharaoh’s statues; now I know what the place looked like from an eagle’s vantage point. Moses reveals that he’s the ancestor of Katniss Everdeen. 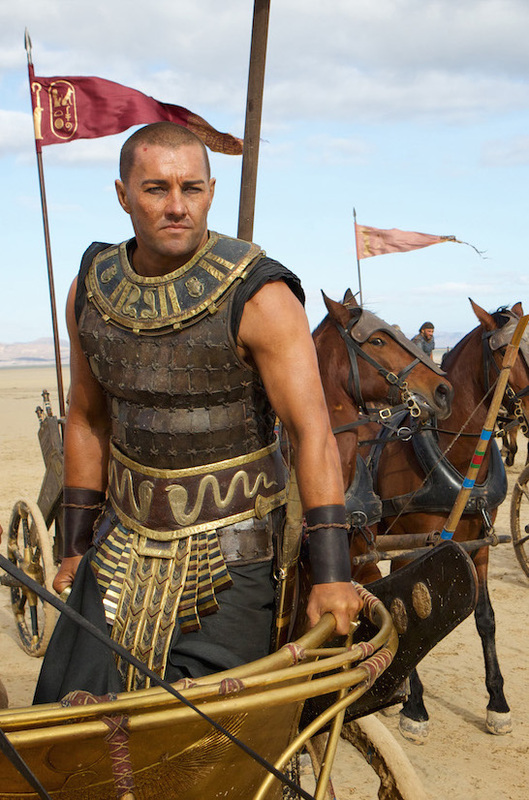 And speaking of Ramses: Joel Edgerton looks very silly in all that makeup. Then again, that’s actually rather true to life. He was an odd one, with his penchant for makeup, for rash decisions, and for sulking like an 8-year-old. I’m afraid the film has just as many stumbles and lapses as it does strengths. At so many points, you seem to have taken the Peter Jackson route — throwing out storytelling richness so that you can make things more sensational. When we encounter God as a burning bush, for example… what better opportunity could you ask for to go beyond 3-D thrills to something like holy ground? Instead, you go for burying Moses up to his face in a mudslide for some kind of baptism imagery that ended up reminding me, quite unfortunately, of a moment in the film What Dreams May Come. What’s more: I don’t recognize the accents. The people are strangely fair-skinned. Again, I’m not here to complain — merely to point out that such details become somewhat distracting. And by the way — my brother wants me to say (Oh, how I used to get tired of prefacing statements with “My brother wants me to say…“) that he is quite appalled to find a grumpy pre-adolescent moping about as an avatar of the Almighty. When God appeared to Little Mo, it was in such a way as to make him drop to his knees in terror and worship. This kid looks like he needs to attend an after-school program. Moses learns rather unsettling details about his origins. But seriously — in this, the age of True Detective, did you give no thought to the dramatic possibilities of depicting the brotherhood who stood before Pharaoh? Think about it. Pharaoh looked down at Moses, the brother he thought he had, only to discover that Moses had claimed a more authoritative kind of brotherhood — the brotherhood of the family that had been stolen from him. Ramses might have reached out and accepted my hand, and we could all have become brothers! He might have seen the sin of slavery in that moment. But no, he did not. He chose to act as a tyrant instead of a brother, as a false god who stands alone instead of admitting that he was only one of many children of God. That’s drama, if you ask me. I think it’s a pity that you passed over (no pun intended) that possibility. 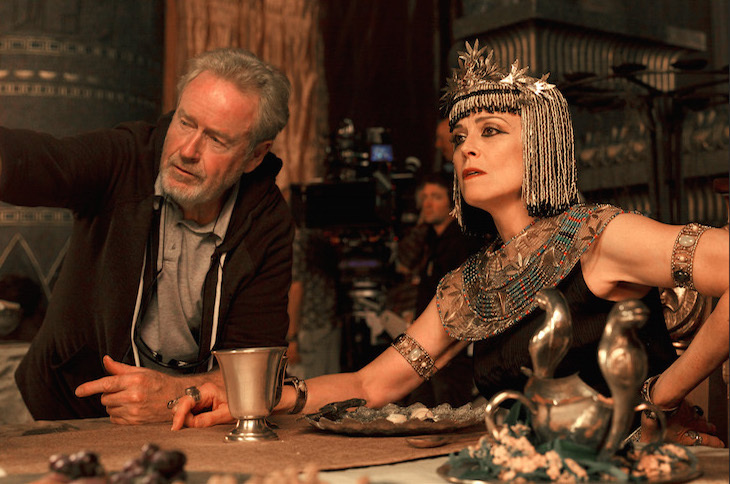 Ridley Scott reunites with his “Alien” star Sigourney Weaver. Our questions about God’s nature continue to this day — everybody, even my own people, have conflicting ideas about his mind and methods. Me, I’ve always sensed that the plagues were something God hoped to prevent: Pharaoh’s abuses of God’s creation were going to bound to bring heavy consequences for all. You can’t neglect your garden and them blame God when everything rots. God did everything he could — even sending Moses (and me!) with warnings, hoping to awaken Ramses’ conscience and bring him to his senses. Ultimately, I believe God decided to let Ramses sleep in the bed he’d made, the way a heartbroken parent sometimes realizes that there’s no talking sense into a rebellious child. Later, the Christ would would come — and he would show us how much we underestimated the Almighty: He is love, and he’s desiring our redemption even when we do our worst. But that’s another story. It is in that spirit, by the way, that I want to express my condolences to you over the loss of your own brother in 2013. I was moved by your decision to dedicate this movie to him. God blessed you both with extravagant artistic talents, and at your best you have both created art through which God has provoked audiences to soul-searching and insight. May God grant you comfort and peace. P.S. I was surprised. John Tuturro makes a pretty good Pharaoh. And those Red Sea waves looked pretty sweet in 3-D. I went into this film wanting to applaud it for taking the story seriously or ready to be angry if it missed the point. Instead, I shrugged. Nothing about the movie captured me enough to do more than squeak out a typical review. I usually like Bale, but he always strikes me as too modern here. I don’t know why you’d bring in Ben Kingsley, Sigourney Weaver and Aaron Paul and give them absolutely nothing to do. And I thought the idea of showing a natural way for the plagues to occur was interesting…until the film lost interest in them and just treated them like points on a checklist. There’s so much beauty to the Exodus story. Moses is a great flawed hero — often angry at God, too afraid to speak…here, he’s any other Hollywood action hero. I love the way the plagues seem designed to mock the Egyptian gods…Scott doesn’t include it here, which is fine, but they seem rote and typical here, nothing special. The fight in front of the tidal wave is laughable, and I’d be okay with God being portrayed as a child, but this angry, petulant toddler is just silly. I do like Joel Edgerton here quite a bit. 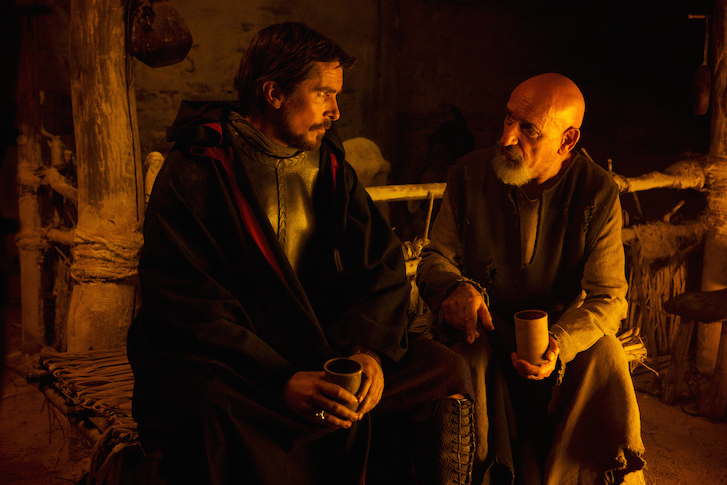 The way he reacts as the plagues pile up and he gets vexed with his advisors is really funny, and I wish he’d had more scenes opposite Bale once Moses returned to Egypt. This isn’t a bad movie. It’s just so bland. I missed the vitality of Noah, the feeling that an artist was wrestling with the text. This just felt like Scott shrugging “I need a hit to finance something more ambitious down the road.” I hope “The Martian” is that movie.